In this day and age, the free educational Kindle apps for kids are plentiful, but how do you know you are getting a good app for your child? This list of over 15 of them are good choices for your child to learn Math skills, Bible stories, and more! 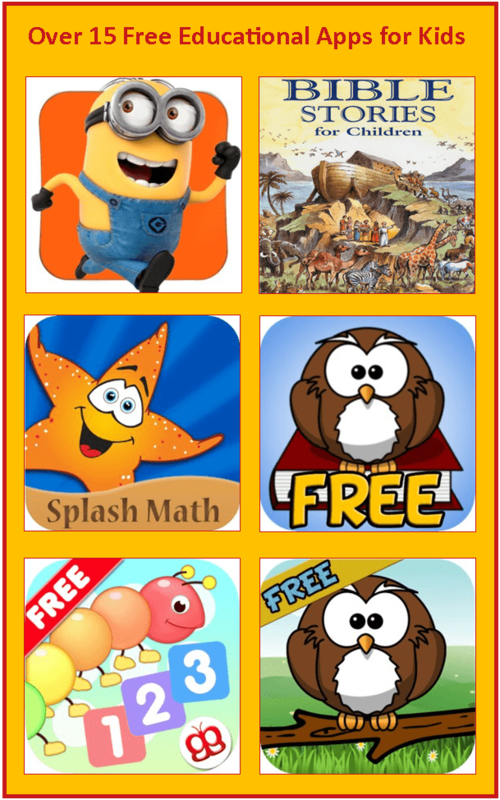 I hope you and your children have fun with these free educational Kindle apps for kids! Be sure to double check the price before hitting the “buy now” button as Amazon prices change hourly. Splash Math Grade 1 Kindle app. Have you seen an awesome Amazon freebie? Share it with me via email and if it fits my audience, I will share it!